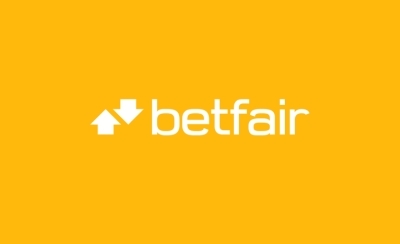 Betfair is one of the largest online bookmakers in the world, with currently around 20 million visits per month. Betfair offers a very broad range of markets and features that have been very appealing to many players. Betfair has a betting exchange which is obviously great for the more experienced punters. This allows Betfair to offer the widest markets of all bookmakers. For example, for Asian Handicap betting, the widest types of bets can be found. Besides the exchange, Betfair has also a regular sportsbook. We are very pleased to see that the odds offered by the regular sportsbook are very competitive and in some cases spectacular. Betfair belongs to Paddy Power Betfair plc and is a listed company in the FTSE 100 Index. Betfair is, therefore, a 100% reliable bookmaker. For the English Championship, The English League 1 and The English League 2, the odds offered are amongst the top 3 of the market. Betfair has an attractive welcome offer for new players: Bet £10, Get £30 Free. How does the Betfair welcome bonus work? 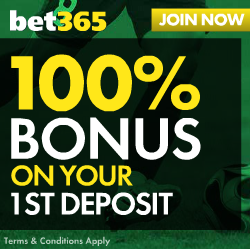 Within 24 hours you will get 3 x £10 free bet tokens. Be advised your free bet stake will not be returned, you will only get the winnings. This is a general overlook of Betfair’s odds on the most important markets. We are pleased to see that the odds for the major UK football leagues are the best of the market. Betfair offers very attractive odds when you bet 1 or 2 days before the match or on matchday. These attractive odds are provided not only for the English Premier League but also for the English Championship, the English League 1 and the English League 2. The odds of Betfair for the last 3 mentioned divisions are unrivalled. If you frequently bet in these competitions, you should not even consider looking further. Champions League and Europe League odds are excellent when you bet the day before the match or on matchday. The odds for the 4 major European competitions (German Bundesliga, Italian Serie A, Spanish Primera Division and French Ligue 1) are spectacular, with payout ratios in the range of 94%-97%. Timing is key and betting 1 day prior to the match or on matchday is best. For the 2nd tier European competitions (Turkish Super League, Dutch Eredivisie, Belgian Eerste Klasse and the Portuguese Primera Liga), the odds have payout ratios of 92%-94% only and here Betfair is below the market average. LIVE betting is average: odds offered generate a payout ratio of around 94% for all Football competitions. For Tennis, the odds are above market average. For Snooker the odds are average, but for Darts, these are better than average. The chart below provides a summary of the payout ratios we have calculated for you. These are for 1×2 bets. The payout ratios of other bets (such as Asian Handicap, Over/Under or Both Teams to Score) are provided on our Betfair Odds Analysis Page. The chart below provides a summary of the payout ratios we have calculated for you. These are for 1×2 bets or Home/Away bets. For more details, including a comparison with the market average, are provided on Betfair Odds Analysis Page. Betfair belongs to Paddy Power Betfair plc (formed in 2016) and is a listed company in the FTSE 100 Index. Betfair is a very reliable bookmaker, that not only provides the most popular betting exchange in the world but also offers very competitive fixed odds. 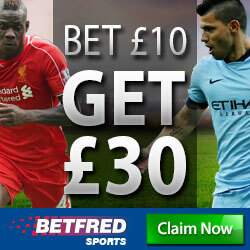 Visit Betfair today for £30 of free bets when you deposit and place a bet of at least £10.